One Piece: Unlimited World Red’s Deluxe Edition is the latest port of an original Nintendo 3DS game from back in 2013. 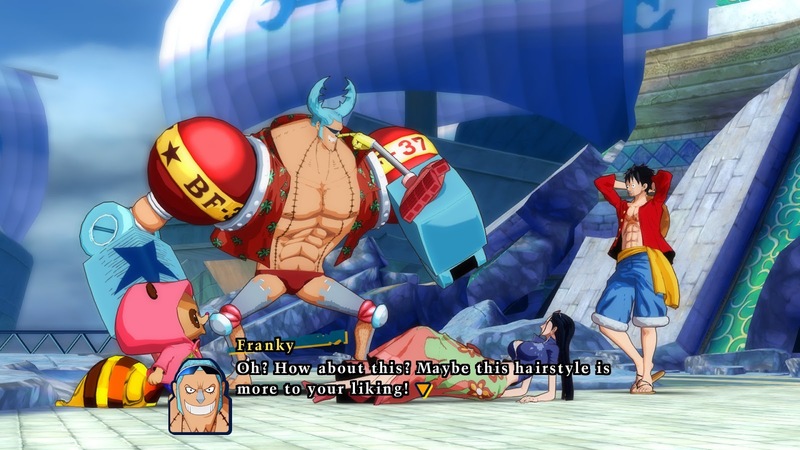 While One Piece has the easy ability to take its manga roots and transfer itself over to the video game medium, with characters and gameplay elements that make for a fun time, the title is really starting to show its age. 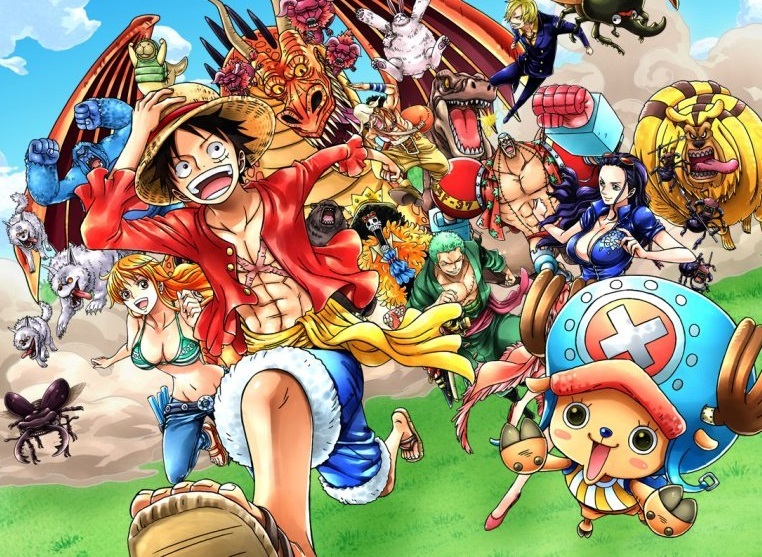 With the manga and the anime still running there’s no shortage of the possible material for video games with the Straw Hat pirate crew. Unlike many other takes on the One Piece franchise, however, this one doesn't retread the same origins moments. Instead, it gives us a story set in a break between main arcs of the manga, and that immediately gives the game a fresh feel, such that people can enjoy it without feeling like they've played, watched, or read through the same thing a dozen times previously. So here we arrive with Luffy and the rest of his crew to an island in order to both deliver a passenger and pack up on supplies before leaving. Of course, things go belly up and as a result Luffy and his crew isn’t leaving anytime soon. Better get used to the island, it's going to be a home hub for a couple dozen hours adventure. For those not familiar with One Piece, it’s the story of a crew of pirates on an adventure in order to find the greatest treasure of all, the titular One Piece. Setting out through the various seas this crew comes face to face with many challenges from other pirates and the World Government’s Marines as they search for both the treasure and new adventure. To add further silliness to it all, pirates and marines include on their side individuals known as Devil Fruit users, who have access to incredible abilities at the cost of not being able to swim. Luffy, the captain of the Straw Hat crew, is one such user and the Devil Fruit he ate granted the ability that allowed his body to become elastic rubber, which is useful both as an exploration and combat tool. 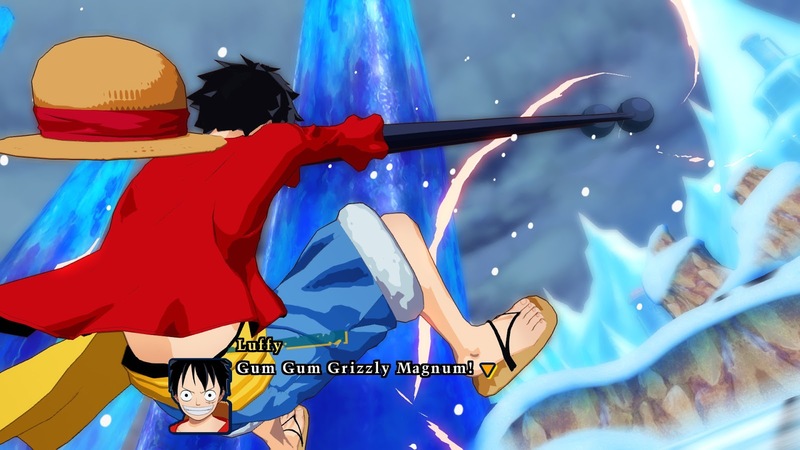 Being very stretchable, Luffy can simply extend his limbs over to far ledges in order to propel himself forward through the air. It's an ability he'll put to use right away, and there's a real joy in soaring over the harbour town, making his way to the first objective marker. After a quick exploration of this tiny harbour town the plot thickens as the crew are kidnapped, and Luffy has no money to pay the bill to the inn owner. So as a result Luffy has to both complete errands to pay back his bill, while tracking down and rescuing his team. 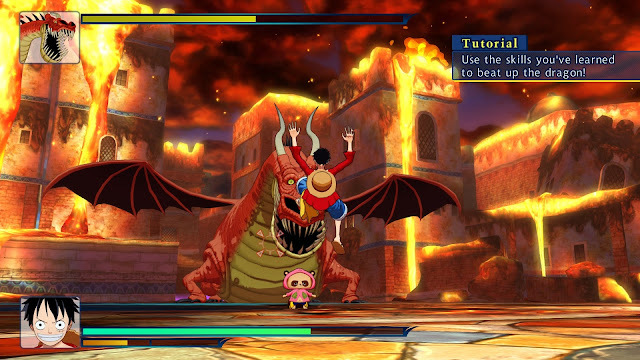 Originally designed for 3DS, complete with its minimal technical capabilities, on the Nintendo Switch it doesn't take long for the adventure to start to feel bare visually, and there are certainly more detailed, beautiful games, even within the One Piece franchise, such as the Pirate Warriors titles on the PlayStation 3 and 4. While there are some significant visual upgrades to character models and the like, the basis of the game is still there, and so there’s a lot of running around through areas that do not have much in them. 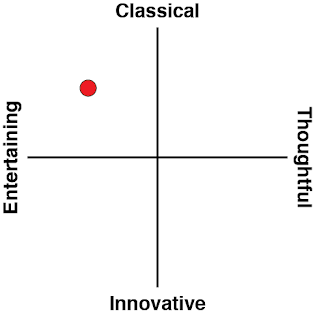 The combat, while fun with the various available characters, can also feel a bit stale after a certain amount of time because it’s not as fluid as it should be, and again comes off as second rate when compared to the Pirate Warriors series. The attacks have enough variety and look neat, but they also feel slow to execute and as the stages get longer so does the feeling of them dragging on. 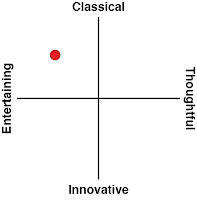 This is compounded by the infrequency of fights, and a significant portion of each stage is a largely empty space you simply wander through looking for another fight to get into. There are a few added elements that “spice” things up a bit with barriers and obstacles requiring that you return at a later date, such as when you've acquired the character’s ability to cut or to dig through the barrier, but with the empty environments and the need to backtrack through the empty stages it just tags on unnecessary time in order to make it over to the boss. It's not paced well in the slightest, is the point here. Boss fights are big, they are fun and they mostly make up for the length of time that it takes to get to them. Here, Luffy or other characters that have been rescued will take on rival Devil Fruit users that will be recognisable from the show, and each with their own set of mechanics to deal with. Figuring out how to deal with these boss battles makes for the highlight of the game, as the enemies can trounce you if you don't approach them with a specific strategy in mind, and while the game is otherwise quite easy, making it through these battles can take some practice and patience. Once finished the crew make their way back to the town in order to either upgrade their exploration gear that allow for fishing, catching bugs or beasts, or stocking up on health items for the next trip out. There’s the ability to add in new establishments that allow for taking on quests but outside of that, the town area becomes too functional, too quickly, and it’s really just a place to save the game and push the storyline along, rather than something that you'll want to explore and interact with. One Piece: Unlimited World Red Deluxe Edition is the definitive edition of the game. It's been brought up to standard in the most critical areas, such as in character models, and includes a lot of DLC that has been released over the years - if nothing else you'll have a greater wardrobe to take on those boss battles with. The boss battles remain a highlight and almost enough of a reason to play the game in itself, but the rest of the game structured around them is so pedestrian and bland that keeping motivation in this one is perhaps the greatest challenge of them all.